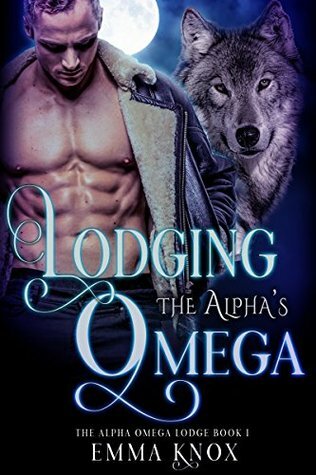 Lodging the Alpha’s Omega ~ Worth reading … 8 out of 10! Cover Art: A man and a wolf on blue background with a white full moon. The wolf’s head is done nicely. The man is bare chested and looking downwards. The text is multicolored and it kind of looks fluorescent. Main Characters: Steven Purr, an omega cat shifter in town for a work convention. Drake Gryther, an alpha wolf shifter who runs the lodge where Steven stays during his work trip. Steven is a feline shifter and Drake is a wolf shifter. This means that Drake, who is the Alpha is the calmer of the two. Steven is wary of being in a relationship with anyone due to his past and all Drake wants to do is love him. Secondary characters: These characters might have been minor but they were very important to the story. They consisted of members of Drake’s pack and Steven’s family. Plot: It is not complicated and rather straightforward. Omega meets Alpha and craziness follows. Writing style: It is narrated in alternating first person, Steven then Drake. Conflict/Climax: The conflict came from inside Steven and from outer forces. The outer forces were another pack and the scenes with them were dramatic. I would say the climax came from the birth of Drake and Steven’s baby. Flow/Continuity: There are no problems with continuity. The story was peppered with times of tension and romance, which made for a delightful story because nothing seemed out of place. Conclusion: I think that this story was worth reading because it had a little bit of everything; romance, drama and comedy. I think Emma’s characterization of felines was spot on. I think the author set a great foundation for the series with this book. I give this 8 out of 10 stars. Previous Chosen Review ~ Great start to a new shifter world … 9 out of 10! Next A Shining Knight Review ~ Does not disappoint … 9 out of 10!